Banks and other financial institutions are today faced with the challenge of being available anywhere, anytime to their customers. With the internet infrastructure becoming widely available, and access devices such as the smartphones becoming both affordable and powerful enough, customer expectations are running high. Account holders expect seamless availability of a wide range of financial services such as balance enquiry, funds transfer, setting up of a withdrawal limit, stock market trading, purchase of an insurance policy, and so on. In a country like India, it’s a given that banks need to provision for service availability on a massively web scale. The ongoing Digital India push also means that the scale would only further rise in an easily foreseeable future. Banking organizations, therefore, must undertake the necessary transformation of their data center infrastructure to be future-ready in the wake of existing as well as upcoming demands. Indeed, a comprehensive adoption of cloud is pivotal to banking and financial institutions for achieving a massive scale of service availability.At the same time, it is equally important to stay in compliance with the regulatory requirements and to fully ensure that customer data is not compromised. This often leads to a presumption in favor of an on-prem data center environment as against a public cloud. Anytime, anywhere banking on any device: A native use of containers and their seamless orchestration has made IBM Cloud Private the transformational platform that banks have long needed.Customer data can now be encapsulated and delivered to an authorized account holder in a tamper-proof manner. Instances of associated applications are also containerized along with the data, which duly addresses the data security and privacy requirements. Optimization of resources: The technology behind the containers makes them very light on the network as well as the computing resources. Since the containers can be specific to a given user, they may be dissolved as soon as the user ends a session. This frees up the resources to be used by other users. With a native use of containers and Kubernetes, IBM Cloud Private makes an optimum utilization of all IT infrastructure and applications.While the traditional cloud approaches fall short of addressing the legacy-application-modernization needs of organizations, a solution like the IBM Cloud Private recognizes the gap fully well. Growth while addressing regulatory needs: The next-generation hybrid cloud environment enabled by IBM Cloud Private equipsbanking and financial service organizations to transcend geographical boundaries and tap into new markets much quicker. The separation of data and applications at the platform’s level means that data residency requirements are addressed seamlessly. Compliance-sensitive customer data could keep residing on data centers located within a given countryand be made accessible only to specific applications and preauthorized users. Harmonization and integration across diverse IT environments: When moving from a legacy infrastructure to a modern IT framework, making disparate application islands talk to each other is a key challenge. Addressing that takes months and sometimes even years, depending on the size of the merging entities and the complexities presented by the respective IT infrastructures. IBM Cloud Private could enable modernizations of legacy applications of both the organizations and also ensure their cross-availability in a matter of weeks. Further, through the use of middleware microservices, containers, and Kubernetes, the otherwise disparate application sets could be made to talk to each other and be available for an integrated organization through a single platform. All this helps quicker realization of an M&A’s strategic business goals. Meeting expectations of next-generation customers: Rising literacy, rapid urbanization, and proliferation of social media are among the various factors that have led to significantly improved customer awareness and empowerment. This is demanding banks, like other customer facing organizations, to become more responsive to users as well as other stakeholders. IBM Cloud Private is uniquely positioned to help meet the agility goals in this context. 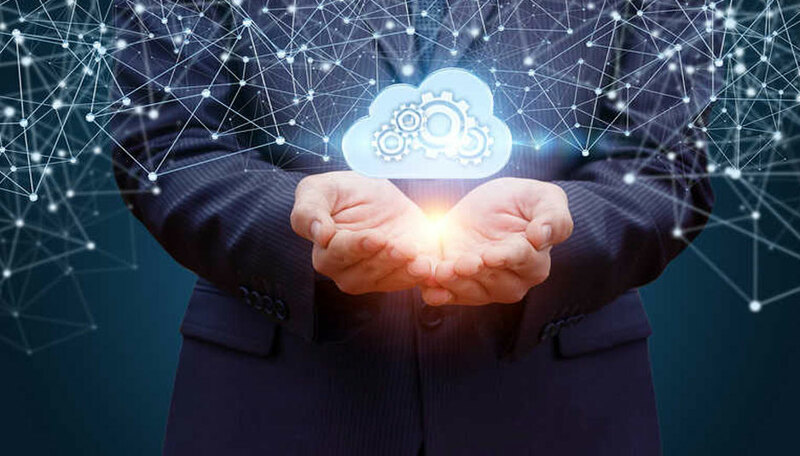 Its next-generation hybrid cloud capabilities are aptly suited to the now evident needs of integrating peripheral applications with the core banking system. The use cases discussed above would apply to various banking and financial institution across both public and private sectors.Organizations that have internalized ultra-customer-centricity and are at the forefront of leveraging applications such as blockchain and cognitive analytics, would benefit all the more from IBM Cloud Private adoption.